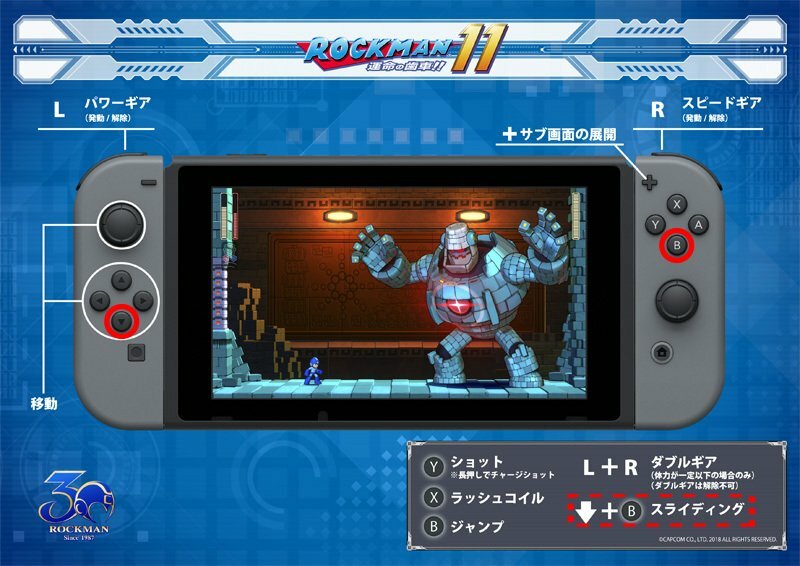 Capcom has revealed the full control scheme for Mega Man 11 on Nintendo Switch. As the image is in Japanese, we’ll provide a full translation of the controls below the picture. Mega Man 11 launches October 2, 2018 for Nintendo Switch.